http://newiprogressive.com/images/stories/S5/construction-jobs-s5.jpg Court rules unions have property rights to collect "fair share" fees for the services they provide all workers. Democrats quick to applaud check on Gov. 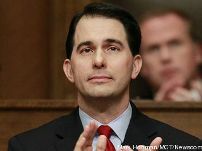 Walker's union busting agenda, but AG says they plan to appeal. MADISON - A Dane County judge has struck down the state’s right-to-work law, ruling unions have property rights to collect fees for the services they provide to union members and nonmembers alike. According to Matt DeFour of the Wisconsin State Journal, Judge William Foust issued the 15-page ruling on Friday, about a year after the law took effect. The law prohibits unions and employers from entering agreements that require all employees to pay fees to a union, either in the form of membership dues or “fair-share” payments for those who opt out of joining a union but are still represented by it. A group of private-sector unions sued the state, arguing state and federal law require unions to provide collective bargaining services to all employees in a represented workplace, regardless of whether they pay union dues. That made the state’s right-to-work law an illegal “taking” of their services, they argued. The so-called “Right to Work” law was another product of Gov. Scott Walker and his Republican legislative majority's union busting agenda. Before the law, all employees who benefited from collective bargaining agreements in their work place had to pay their "fair share" of the costs of negotiating those contracts, whether they were members of those unions or not. Without the "fair share" requirements, resources available to unions in their attempts to stand up to big business and interest in unions dropped. With the collective power of employees weakened, wages soon followed. A little over a year after the “Right to Work” law was signed, Wisconsin’s economy and workers continue to suffer. The federal Bureau of Labor Statistics' latest quarterly jobs numbers found Wisconsin now ranks 40th in private-sector job growth over the past four years – dead last among the 10 Midwest states. In 2015, more than 10,000 Wisconsin workers received layoff notices, which is the highest single-year number since Governor Walker took office. Pew research also recently found that Wisconsin’s middle class is shrinking faster than any other state. Gov. Walker was confident the judge's ruling would be overturned on appeal and the law would be found constitutional. Walker and his big business allies now control five of seven seats on the Wisconsin Supreme Court. Attorney General Brad Schimel, who is defending the law in court, said his office was “extremely disappointed” by the ruling. “We are confident the law will be upheld on appeal,” he said. Democratic legislators, who have fought the law from the beginning, were quick to respond to Friday's ruling. “This ruling is a victory for workers’ rights and middle class families,” Assembly Democratic Leader Peter Barca (D-Kenosha) said. “Middle class Wisconsin workers are in crisis and so-called ‘Right to Work’ laws have been shown to drive down wages and economic growth." "The extreme right-wing Republican agenda has been incredibly harmful to working people and businesses in Wisconsin. It is especially disturbing to me that the ‘Right to Work’ bill was rammed through the legislature in a matter of weeks, yet Republicans took no meaningful action this session to grow Wisconsin’s economy and rebuild the middle class,” said Barca. "Everyone knew that 'Right to Work' laws would drive down family wages and interfere in private business contracts. 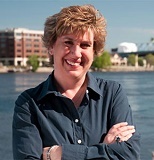 Now we also know that this special interest attack on working families and locally-owned businesses is unconstitutional," said Senate Democratic Leader Jennifer Shilling (D-La Crosse). "This ruling is a major victory for hardworking Wisconsin families. Rather than wasting taxpayer dollars to defend the wishes of out-of-state special interest groups, the Department of Justice should side with Wisconsin families and allow this ruling to stand."